He changed into a clean tee shirt in the walk-in, carefully rolled the sleeves of his Viyella shadow-plaid above his biceps like the picture of Jean Genet on the cover of that new biography, and stuck a clean faded green bandana in the left pocket of his 501s. . . . Paul shrugged into his River Phoenix coat, dark blue corduroy with fleece lining, and walked out of the kitchen like he was walking into Studio 54. Lawlor’s prose can be maximal in its use of cultural references, in its collaging together of keen observations and pop culture signifiers, but it also flows easily. It does occasionally, like Paul, take strange detours; the closed third-person perspective will sometimes loosen to omniscience and give way to fairy tale-like passages, complicating any simple origin story a reader might expect from a character like Paul or a story like this one. The warm tone and livewire voice remain consistent throughout, however, and the multiple origin stories add a radical potentiality to the novel. The breezy pace of the text feels like a fittingly swift slide for someone like Paul, who moves fluidly between sexes and states of being, between literal states and the relationships (if not responsibilities) that take him there. Lawlor uses male pronouns for Paul throughout the novel, which likely has more to do with readerly coherence than anything else, but this fact—as well as Paul’s negotiation of historically female-only spaces like the Michigan Womyn’s Music Festival—might complicate the experience of reading the novel, depending on the social positioning you bring to it. 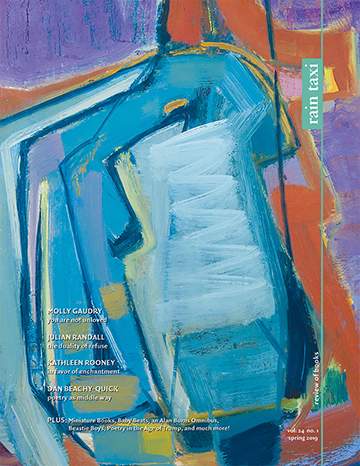 But culturally-identified queers of most persuasions will find themselves reflected back here, as the text largely eludes rigidity or judgement, and bringing a rigid politics to the proceedings would feel almost beside the point, as the delights of mutability—of desire, of life paths, of presentation—are intrinsic to the novel’s appeal. 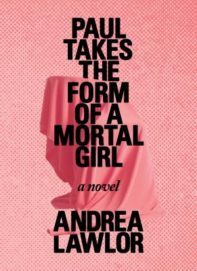 In its nuanced treatment of a conceit that could easily yield to gimmick or cliché, Paul Takes the Form of a Mortal Girl is a dazzling novel about the ordinary magic of inventing ourselves, about the uses of the body, and about containing Whitmanian “multitudes.” Lawlor is a magician, and a very good one, too. This entry was posted in Uncategorized and tagged Summer 2018 on August 6, 2018 by Kelly.